You’ve probably heard about the wonderful effects of coconut oil. I recall reading an interesting report some 6 or 7 years ago about ranchers getting coconut oil to feed livestock as a cheap source of calories to fatten up meat animals quickly for market. Back then, before all the hype, it was one of the cheapest edible oils available. There was just one major problem. Animals fed lots of coconut oil became more active, and leaner. Total, miserable failure. From the rancher’s point of view, a complete waste of money. Coconut oil quickly disappeared from animal feed. Instead of realizing what they had accidentally discovered (namely the repudiation of the CICO theory), the folks involved in this discovery just went on looking for other ways to fatten animals. Like surplus candy, which, unlike coconut oil, really does cause meat animals to become morbidly obese rapidly. 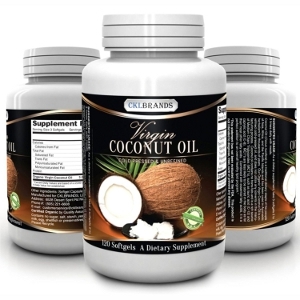 Coconut oil started to gain popularity a few years ago, with reports of various good effects that it appeared to have (contrasted with bad effects of other industrial seed oils). 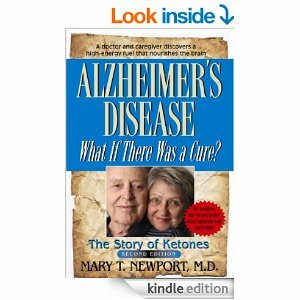 That popularity got an enormous boost when Dr. Mary Newport discovered that it could even partially reverse Alzheimer’s Disease. 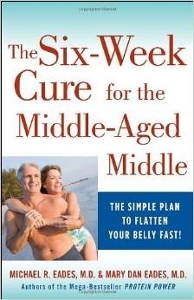 But even before that, Dr. Michael Eades had put out a book called The Six-Week Cure for the Middle-Aged Middle, which featured, among other things, a derivative of coconut oil called MCT. As a result, coconut oil got kinda pricey. To save money on a per-unit basis, my wife buys the stuff in five-gallon containers (still a small fortune). Which brings me to an explanation of the title and the illustration at the beginning of this post. Coconut oil has now achieved FAD status. You can tell that because it is now available in 1g capsules at various grocery stores and from Amazon. Yes, the picture at the top of this post has my Amazon affiliate link in it, so if you feel compelled to buy an overpriced supplement that is unlikely to make any difference in your life (other than make your bank account smaller), please use that affiliate link so I can get a commission. The real reason my affiliate link is there is because Amazon will allow me to use pictures from their site if I link back to them with my affiliate account. Unlike the coconut oil capsules, I do recommend the book by Dr. Newport, and (with some reservations*), by Dr. Eades. (*) In the Six-Week Cure book, Dr. Eades gives some advice of dubious (and potentially hazardous) value regarding do-it-yourself pasteurization of eggs.